Trevor and Susannah have a Problem Relationship requiring urgent attention. What better solution than to talk it over with family and friends? Preferably in their respective bedrooms and ideally in the middle of the night. For Ernest and Delia, Nick and Jan, Malcolm and Kate one Problem Relationship sparks off another. With friends like Trevor and Susannah nobody gets much sleep. 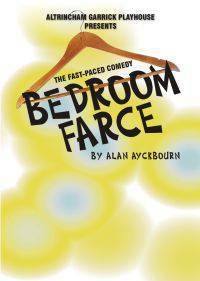 Bedroom Farce is a fast-paced comedy from the acerbic pen of Alan Ayckbourn.